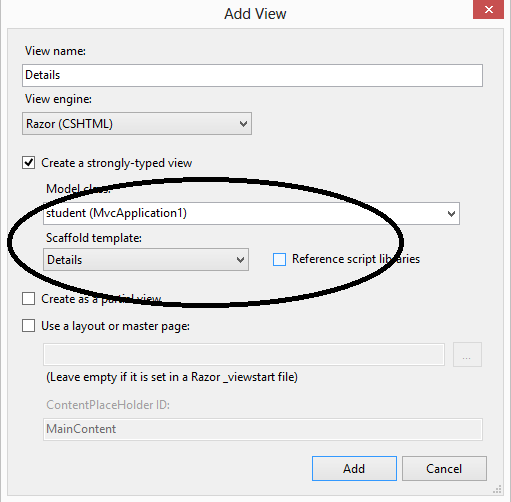 In my last article series I have explained how we can perform select, update and insert using scaffolding with entity framework. In this article I am going to explain the Scaffolding Detail option. 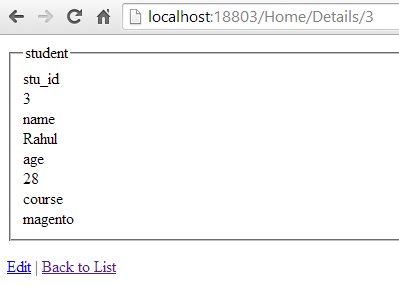 So first add Detail action in Home Controller which is taking the id as parameter which is bound on actionlink. When you clicked on add button a Details.cshtml view will be created. 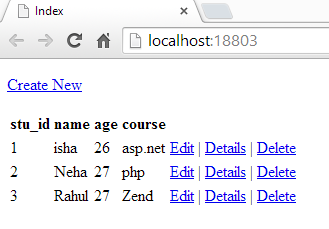 Now select the data for corresponding id in Details action and pass it to the view.